I just became a Lifetime subscriber! I used it for the last two weeks and really liked it. Very easy to use. Great metadata. Very nice. Geoff, thats a really good blog post. I followed a similar route with PLex for movies but eventually decided it was just too much to deal with and I find myself just as likely to watch a Movie at my PC nowadays… I am far more interested in listening to music (probably 100 hrs to 1 compared to movies) so Roon was perfect for me and I pretty quickly went the lifetime route. All the developments are pretty exciting - it’s already a great experience. The return on investment aspect makes me more careful crossing roads Geoff ! There was discussion by Danny about folding or sale in this thread. Ultimately I accept that the devs will do what they can, but there is a risk. I’ve still got a pair of VTL Tiny Triode amps from the 80s that carried a “lifetime guarantee”. I understand that the new VTL company under Luke Manley doesn’t support it. Doesn’t alter the fact that they are great amps that work fine and have given me a heap of enjoyment. Lifer from the outset here, could see where these guys wanted to go and was convinced of their abilibty to get there. OK it’s a never ending road but you get my drift. Happy to commit a life membership as a small way to support the cause. Biggest disappointment is never enough time to listen to music these days, and would love to be able to stream this to the car. Spotify in the Tesla is pretty good for variety if not SQ, but Roon it isn’t. after two trial periods, the interface and features convinced me to opt for lifetime membership. Happy Lifer since last weekend! Lifer here too, have been for about a month now. Also using HQP and loving the combination of remote control-ability and sound quality with HQP. I am a life time PlexPass user too and it was a hard decision given Plex offers the same metadata and lyrics plus has Vevo integration for music videos and syncing with mobile clients. It was truly the integration with HQP and the promise of more Plex like features in the future that got me on board. They might make it they might not, but I like the responsiveness of the roon crew, the focus on quality, and the variety of endpoints supported. I view my lifetime subscription as equivalent to a “kickstarter” contribution for a startup that I hope does good things. My current audio ecosystem is all Squeezebox/LMS based. I’m in east coast U.S.
Great outlook, and is the reason I signed up from the beginning. Roon deserve to do well and whether they succeed or not, I have no issue having spent my money on them. Just upgraded from annual to lifetime subscription. Roon is an absolutely wonderful interface. I am also using HQPlayer with my newly acquired Sonore microRendu. Just wanted to say hi and meet some of the other lifetime members. Member from the US east coast, I have been a lifetime member since June of this year and am not looking back, totally worth every penny. I am looking forward to IOS BT connectivity with Roon. …and lets me easily play the same library, without resampling, on multiple computers. This is a premium price for a premium product. Welcome Michael, I think you’ll find like a lot of us here that Roon brings back an enjoyment to music that easily wains under the computing tomfoolery embraced by many alternatives. Far from perfect but full of striving enthusiasts. Greetings from Germany. Fell in love with roon in the first two days after using jriver for a decade now. 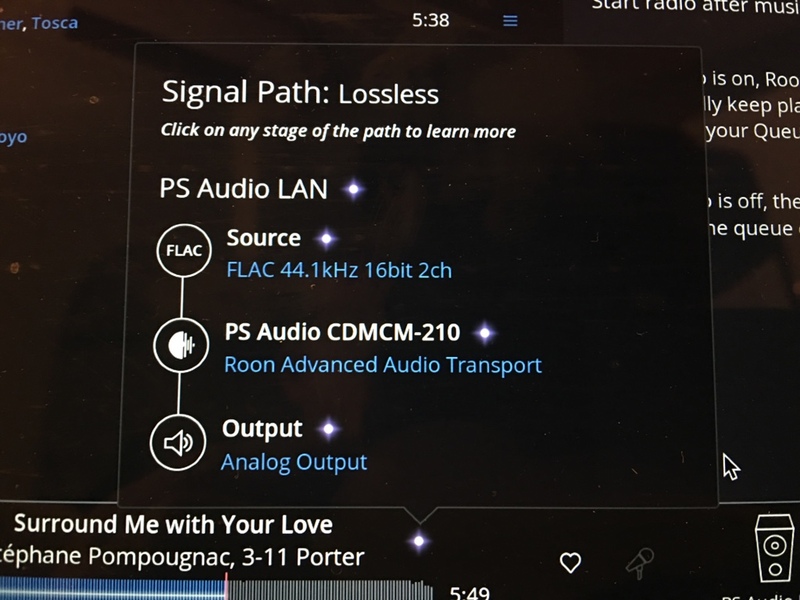 I love the clear cut, non bloated interface, the snappy perfpormanve, the great insights provided plus a very robust architecture that delivers music to mixed devices all over the house. This is something others have promised but never really delivered. Please keep roon lean. There are a lot of excellent tools for ripping, tagging and physical organisation of music files. No need to reinvent the wheel. Stay focused on what you really shine. Seconded. Roon is the first application to handle media library exploration, playback, and sharing in a way that feels truly innovative. I also appreciate it taking advantage of diverse hardware.